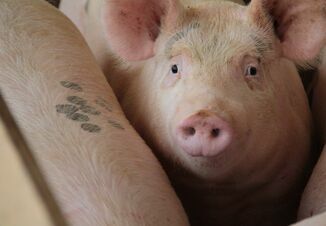 When insurance to protect pig operations from disease outbreaks became available last fall, many producers and industry folks were skeptical. But for Brian Bradshaw, majority shareholder and manager of Win Productions LLC, headquartered in Griggsville, Ill., it was a good investment. The insurance he bought more than paid for itself when he went through a porcine epidemic diarrhea virus (PED) break in February. Win Productions is a third-generation family farm that owns 33,000 sows in Illinois and Indiana. 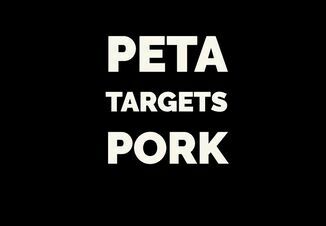 The business sells about 800,000 weaned pigs per year, with some under contract and others sold on the open market. Bradshaw values hard work and getting the job done in a way that is good for their people, good for the pigs, and good for the community. His hog buildings are in a hog-dense area, surrounded by other large operations. He was shopping for insurance for his barns and livestock when he came in contact with Chris Moore, who works for ONI Risk Partners, which is closely associated with the James Allen Insurance Agency. “He asked if we’d have interest in PRRS [porcine reproductive and respiratory syndrome] and PED insurance, if they could put a program together,” Bradshaw says. He worked with the company to design a policy that included the insurance they wanted with a cost structure that fit the operation. Bradshaw bought the insurance on Dec. 19 last year, on about 75% of the sow herd. Two units were positive for PRRS, so they weren’t included in the program at that time. Since then, those sow farms have been added, Bradshaw says. “We just sell weaned pigs to a third party, so health is everything,” Bradshaw says. 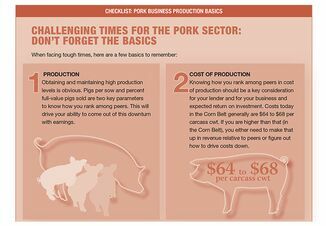 “The value of the pigs drops dramatically and so does production in PRRS or PED breaks, so this type of insurance fit our business plan extremely well. “We had to work the numbers pretty hard but in the end we decided to try it and see if it works,” he adds. “If we don’t have a PRRS break, it’s still money well spent. I sleep better at night, knowing if we do have a PRRS break, I’m covered. Also, we do our financial business with Compeer, and if you put insurance into your business plan with them, it just puts everyone at ease,” he says. Bradshaw recalls they made it through the 30-day grace period in good shape. But then, at the end of February, a large farm just a few miles away broke with PED, and two weeks later, it was in one of Bradshaw’s 3,800-sow units. “That’s the only break we’ve had since we’ve been on the policy,” he says. “We recorded death loss and when we told them we had a health break and asked what we should do, they said, “Manage it just like you don’t have insurance.” We weaned down to seven days of age, got the pigs out of there and saved as many as we possibly could. It was a $950,000 claim; Bradshaw says the process couldn’t have gone any smoother than it did. Bradshaw worries about the sustainability of the program. In his opinion, the company will need to sell a lot of policies to be able to pay clients, because the claims it does have “are going to be huge,” he says. He hopes the company will offer a blanket policy with a per-occurrence limit and an annual limit in the future, so he doesn’t have to buy coverage for each individual sow unit. Bradshaw plans to renew the policy, and estimates it costs about 33¢ per pig. It’s easy to do the math on the benefits, considering just one sow farm broke with PED—in this case, it was a valuable 4.3:1 return on investment. “I would spend that 33¢ per weaned pig every year to know my business plan has PRRS protection in it,” Bradshaw says. “The insurance company did everything they said they would do and kudos to them.